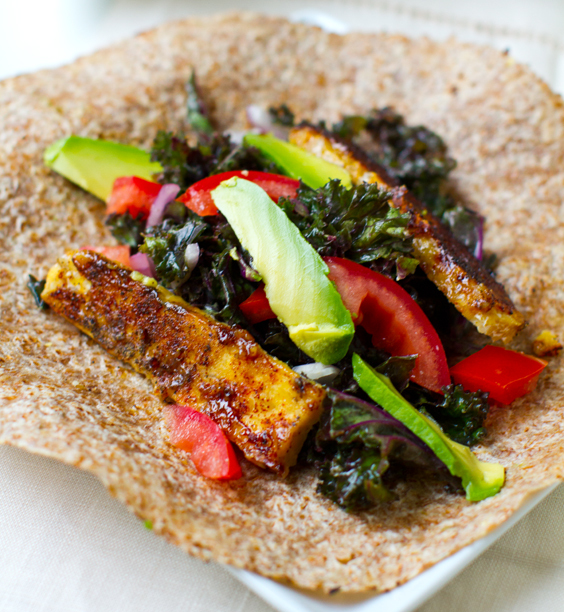 Kale Avocado Wraps w/ Spicy Miso-Dipped Tempeh. 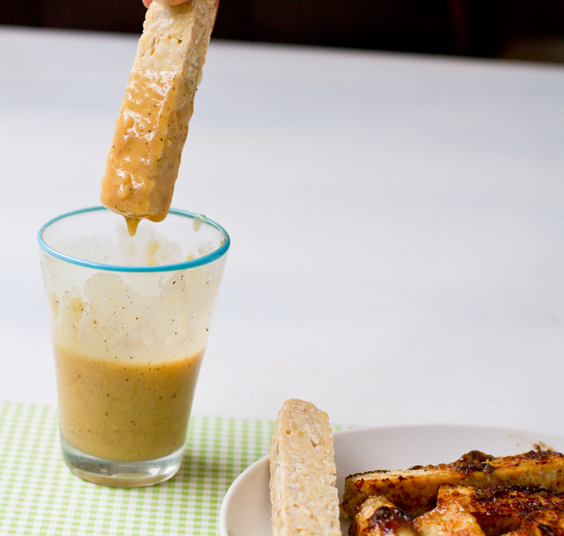 This recipe post is like a 3-in-1 bonanza of deliciousness. First up, my raw kale salad + easy white miso dressing. 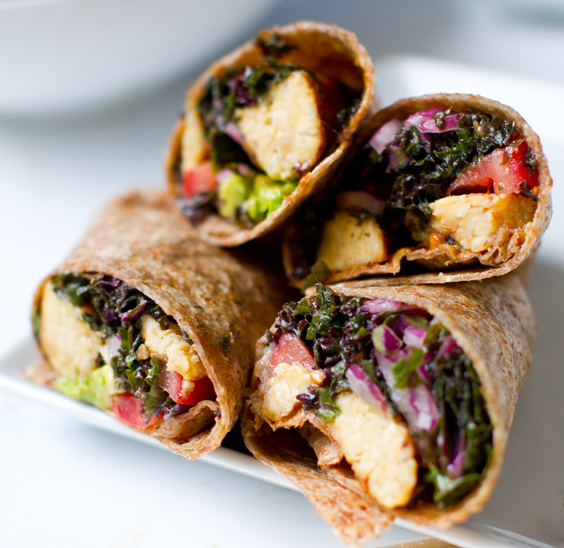 Then my miso-dipped chipotle tempeh logs, Then finally, my recipe for Tempeh-Kale-Avocado Wraps - which merges all the vegan yum into one bite. 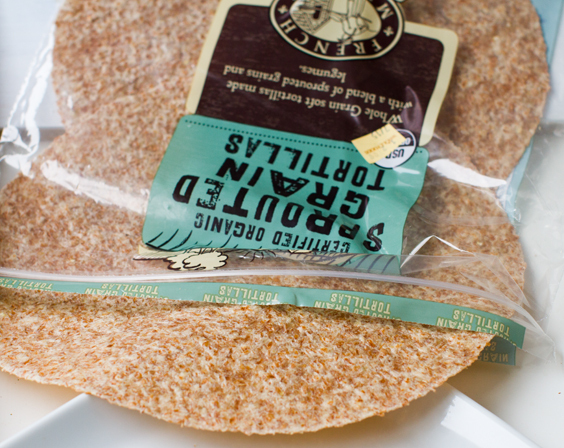 I used sprouted grain tortillas - which were surprisingly easy to handle even though they were not my usual extra large wrap size - warming them makes them pliable and easy to shape and seal. This feast was our make-ahead Sunday dinner and even my husband who usually prefers more 'crunchy' style salads - was loving the chilled, marinated raw kale. 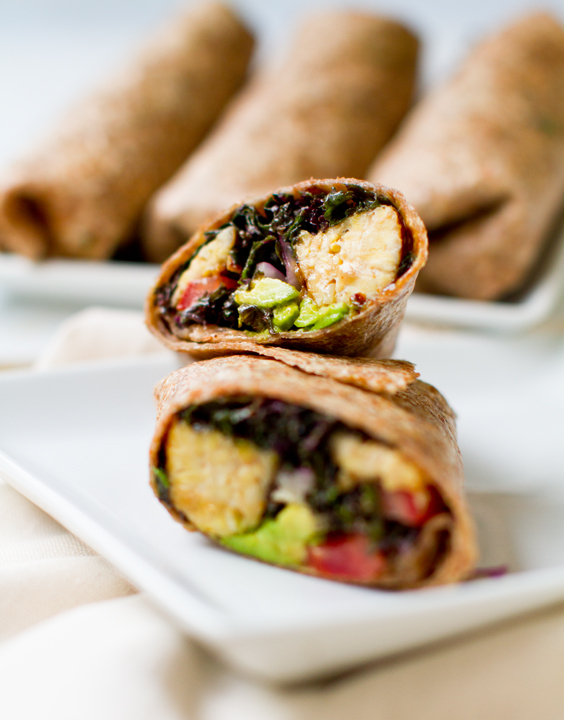 And the chipotle-spicy tempeh wraps were hearty yet light - perfect for summertime eating. The best part is that I was able to make this meal in advance (Sunday morning) - so dinner was as easy as pulling dishes from the fridge! 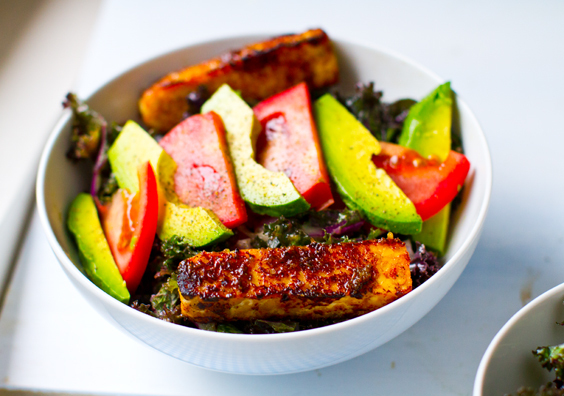 The kale salad + tempeh would also be delish in a jar. 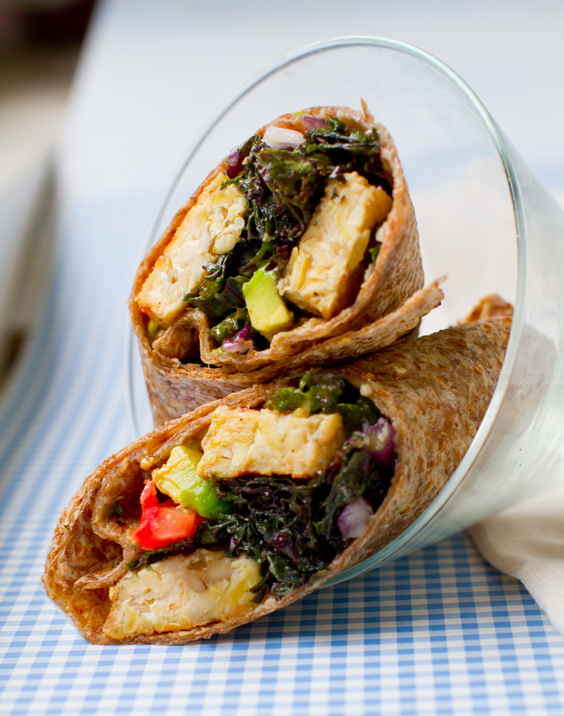 Yup, it has been a while since I have posted a tempeh wrap (one of my fave things) here we go. Get my recipes!.. Salad style - pre-wrapped version..
OK, so we have a lot of recipe ground to cover in this post so there won't be much personal chatter here today. If you want a more leisurely stroll through my thoughts - check out my whirlwind travel post and my "Dulles" travel reflection. 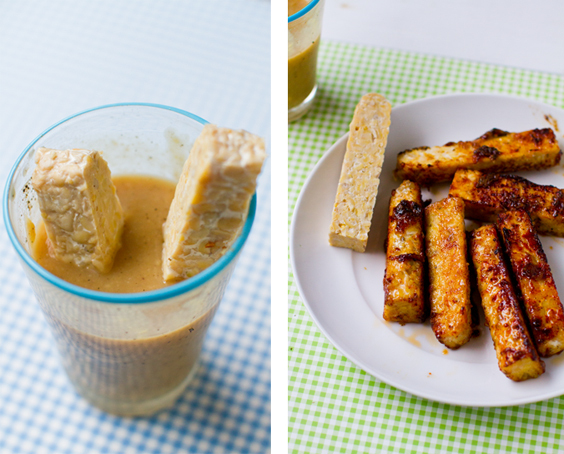 But today, it it all about these fabulous summer-approved slew of recipes!.. Into the warmed wrap it all goes..
Or enjoy it salad style..
My inspiration came from a craving for white miso, raw kale and a hint of chipotle spice. 1 package tempeh, sliced into 8 logs. 1. Heat the oil in your saute pan. 3. Lay dipped tampeh logs on hot pan - then sprinkle each log with a few dashes of chipotle powder and black pepper - allow logs to cook for about a minute on each side - or until all sides are caramelized and browned. 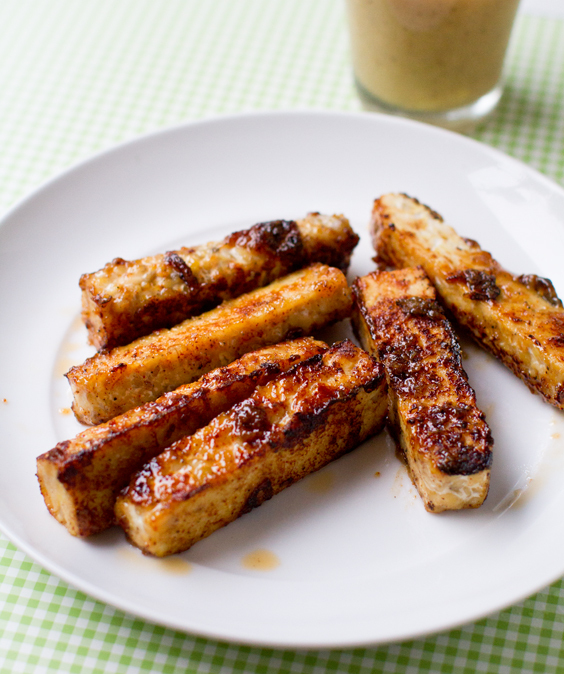 Do not overly-blacken tempeh as this will burnt he delicate flavors. 4. Remove from pan - transfer to plate and set aside to cool for use in wraps or salads. 1. 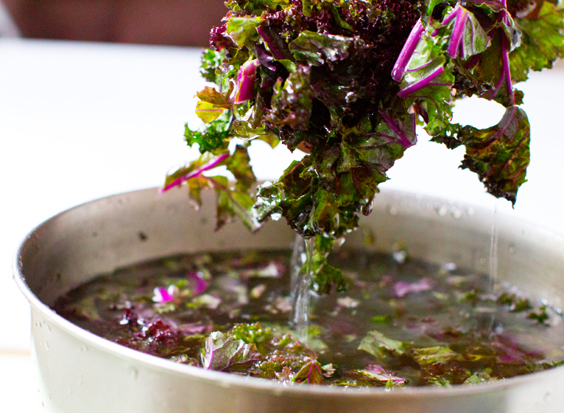 Remove kale leaves from thick stems and chop into small pieces. 2. Wash kale well. My process: I rinse the kale in warm-hot water. Then immedietly rinse in very cold water + a cup of ice cubes. Then I drain the water and sither spin the leaves dry or pat with a paper towel. 3. Transfer washed/dried kale to large bowl and toss with the dressing and onions. You can add in other fridge-friendly veggies like carrots, cucumber, celery, radishes and many more. 4. 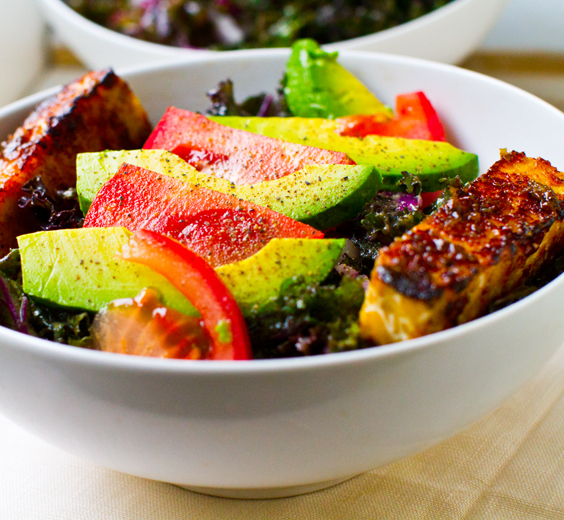 Fold in tomatoes and avocado or add as toppings later. 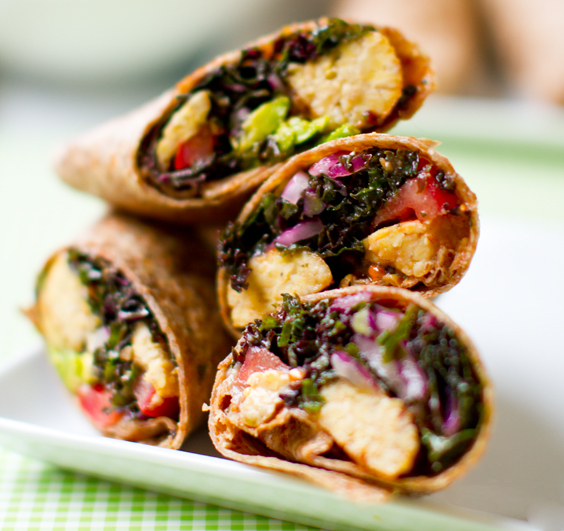 Use salad in wraps, serve or store covered int he fridge until ready to serve. Note: if storing kale salad in the fridge you want to use a minimal amount of dressing so that you do not make the texture soggy. 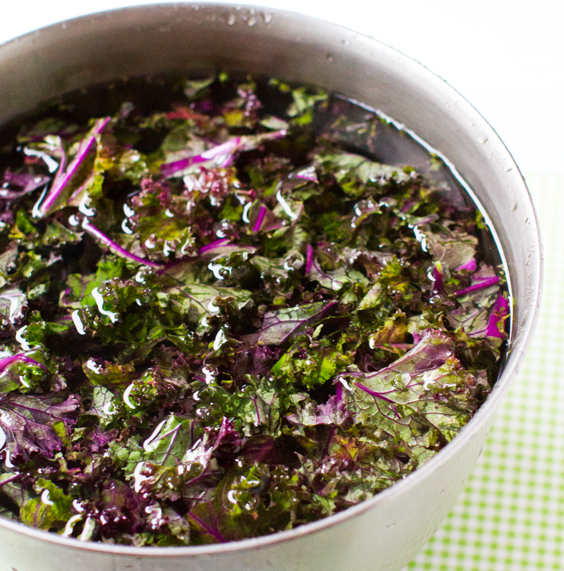 About 1-2 Tbsp should be enough to lightly wet your kale leaves. Wrap and serve or store in the fridge until ready to serve. 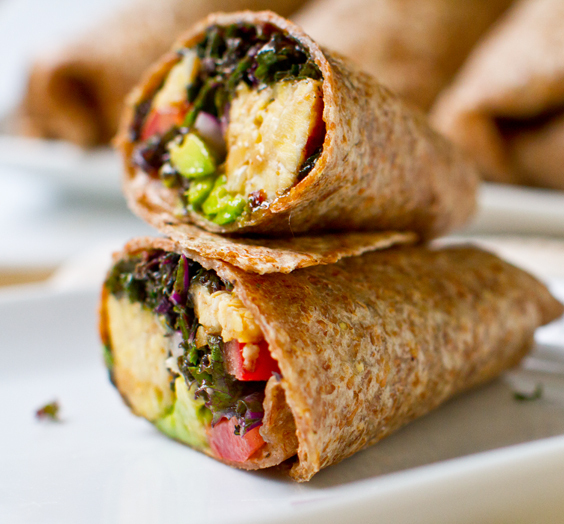 You can serve stored wraps chilled or warm in the oven before serving. 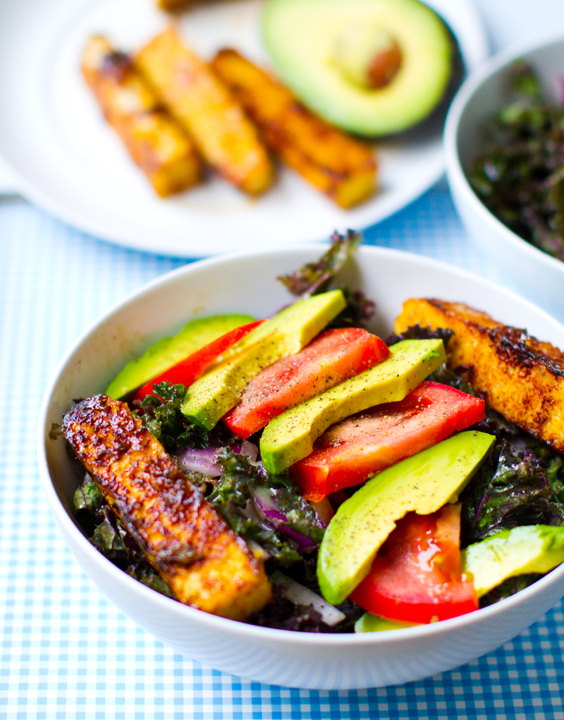 oh kale, I love you..
miso-dipped logs - delicious eaten on their own too!.. 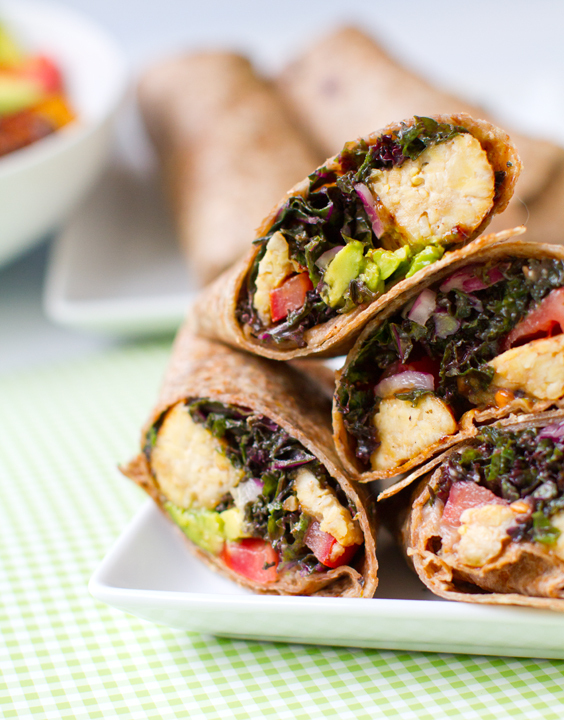 Serve a hungry family for a vegan wrap feast..